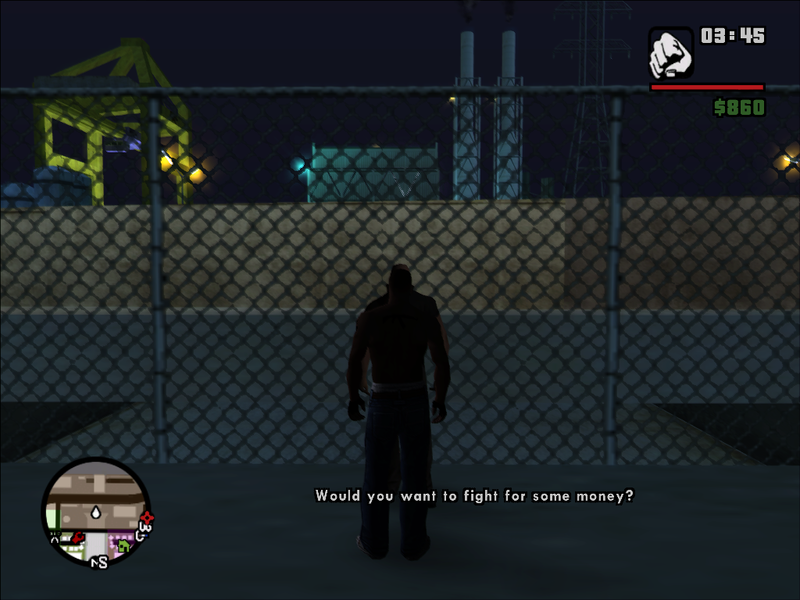 Now you can do some bare knuckle fighting, just go to any of the three fight clubs in san andreas and get your wildest self going. What modifications do you have? New textures, etc. Retextured gyms, hud money fix, mobile hud icons and fonts, claude jacket textures on my combat jacket made by myself, navetsea retex for cj and normal map by ryosuke, is all you can see in the images. New update, still working on this, you will like it, i am open for suggestions, i hope you can give. Me too, untill i did it, no one cared so i stopped, but i had great ideas for it. PSDT: Up to this point no one has noticed i was dressed just as tyler durden in the video god damnit! Nice mod. Noob question, where should i put data folder? 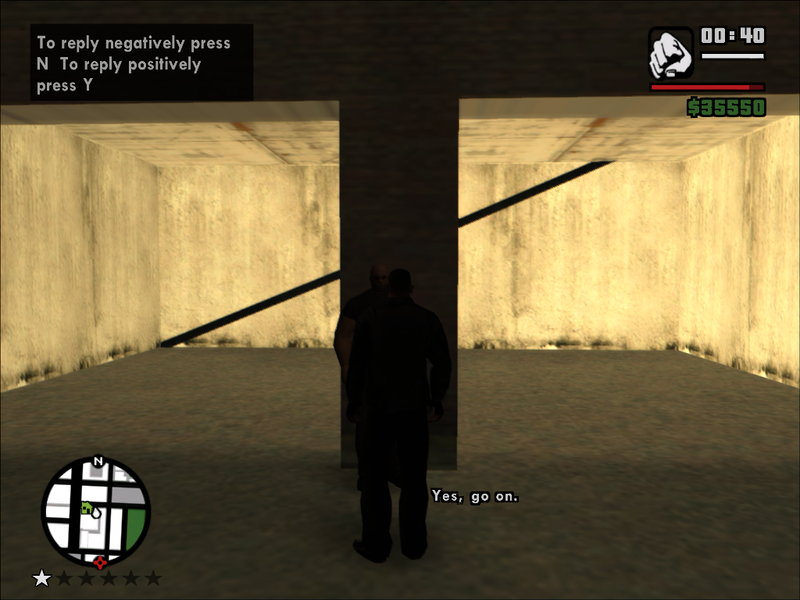 In cleo folder or gta sa folder? Thank you. I found a bug. 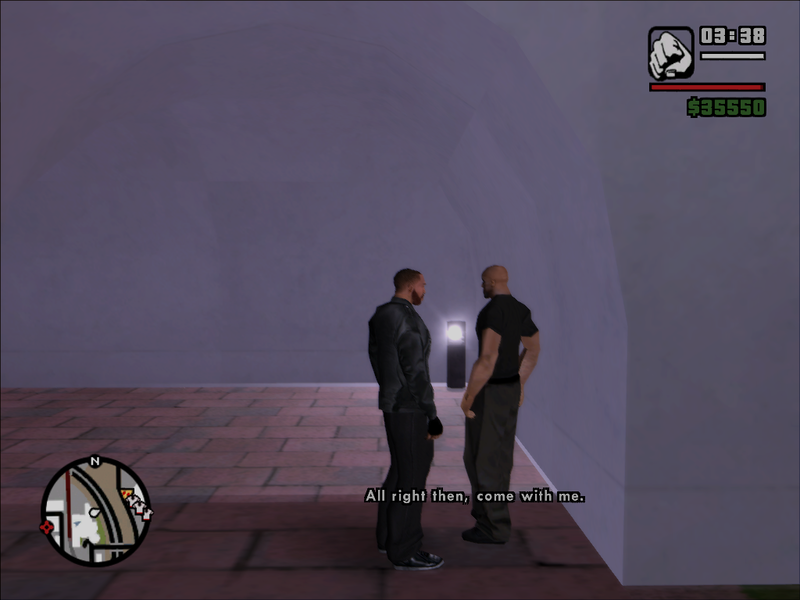 The man with grey suit(the right one, player perspective) didnt have "would you want a fight for some money" dialog. Im using v 2.0. Also It would be be better if more variety of peds included as a figther, not just man with orange jacket. And i hope in the future fight club also available in las venturas and san fierro. I suppose is better late than never. New update/remake of the mod. - Fight club moved out of the gym into the streets. - Added health recovery after winning every fight. My mistake with the crow sound, here's the fix, also, the gym fight club made a come back, i remade it, with an actual crowd inside the gym and sound, check that out. Any hour for the gym fight club.